It’s a brilliant concept – bands and performers from a multitude of genres, all performing Beatles songs, all in one day, all under one roof. 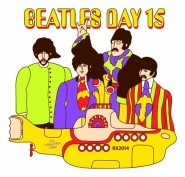 Beatles Day is back, bigger and better for its 15th instalment, as Grace Vogiatzis reports. We found ourselves last night in St. Clement’s Church, in Hastings Old Town, to hear a programme of gypsy music from the community choir Vocal Explosion. We hadn’t ventured inside this fourteenth-century gem before, but had read about its refurbishment (which aroused the usual mix of “they’ve ruined a lovely church” and “what an improvement on what was there before”). Antony Mair writes. Hastings, can you get Brahms? Hastings has something new to celebrate, maybe we can get Lizst too! According to a Musical Sophistication Index (Gold-MSI) produced by researchers of Goldsmiths College, London, Hastings is judged to have the highest level of musical sophistication in the UK. HOT’s Chris Cormack investigates an outbreak of Brahms in the Hastings area. At the end of the semi-finals of the Hastings International Piano Concerto Competition the generally accepted view seemed to be that one of the two South Koreans – Yekwon Sunwoo and Taek Gi Lee – was likely to be winning the prize, writes Antony Mair. The semi-finals of the Hastings International Piano Concerto Competition brought a feast of music for those of us in the White Rock Theatre last night. For the laughable cost of £8 per seat we were treated to seven mini-recitals by a quite remarkable array of young players ranging in age from 17 to 27, writes Antony Mair. St Leonards-based singer/songwriting duo, Trevor Moss and Hannah Lou, plan to put the ‘Russian Gallery’ on their music tour map by including it as their local venue in their upcoming tour next week. Chris Cormack chatted with them on their intriguing progress in the music business.